A big thank you to SeaWorld for hosting our family on this trip. 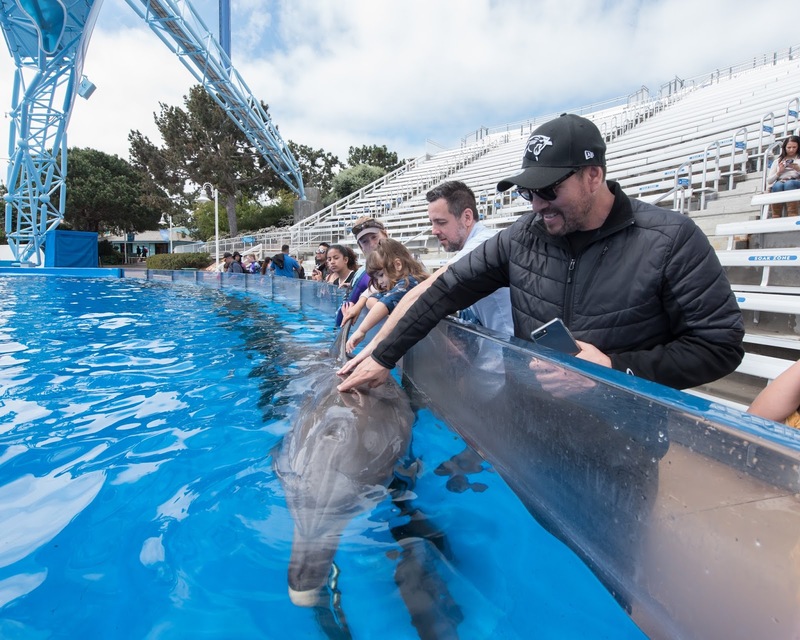 This past weekend Adrian and three of the kids were lucky enough to visit SeaWorld San Diego for a day of learning, fun and sea life adventures. I am originally from San Diego County so I grew up going to SeaWorld, afterwards it was one of my favorite places to take my kids. Now that we live in Riverside County, it's a little further for us but we got passes two years ago and really enjoyed taking the younger kids to see the place that had been so special to us. This trip was a nice opportunity for Adrian and the kids to head down to Sea World to find out all about the new changes they are making at the park. SeaWorld is a fun place to visit - we love the Shark Encounter, seeing the penguins in their frosty home at Penguin Encounter and of course all of the shows. But there is so much going on behind the scenes at Sea World San Diego. Did you know? All the fish fed to the animals at SeaWorld is restaurant quality. Since 1965, SeaWorld® San Diego has rescued more than 17,000 animals, with sea lions, seals and marine birds comprising the vast majority of those animals rescued. Once a rescued animal is medically rehabilitated and demonstrates to the animal care team that it is able to fend for itself, it is returned to the ocean. To give these animals the best chance at survival, SeaWorld often returns them to the ocean by boat. Sea lions, seals and dolphins are typically returned anywhere from two to 15 miles off the coast in areas where sufficient food sources are available and are populated by like species. The killer whales at SeaWorld have always been the most captivating animal at the park. I remember seeing my first shows as a child and being so in awe of these beautiful creatures. Sea World has ended their killer whale breeding program and has not taken any whales from the wild in almost 40 years. Our children are the last generation to see the beautiful killer whales at SeaWorld. But while there will be no more breeding or large shows, the whales are still going to be around for years to come. There is still plenty of opportunity to see and learn more about these beautiful creatures and see them in other more natural situations. SeaWorld is introducing new orca experiences that will give us a whole new insight into their natural behaviors and focus on research, education and care. All Day Orca Play: Launched last week and running for nine weeks only, guests will have unprecedented access to the earth’s most majestic creatures at All Day Orca Play, a full day of events and activities delivering encounters with killer whales. This new all-day, everyday experience will include introducing guests to each whale and their unique personalities; live chats with orca behaviorists and educators; an in-depth look at SeaWorld’s killer whale family and their behaviorists; and comprehensive insider knowledge about the park’s killer whales. Ocean Explorer The launch of Ocean Explorer™: will create an expedition of wonder across the seven seas. Opening this summer, this extraordinary new attraction will combine multiple aquariums, exciting rides and digital technologies designed to engage park guests in an experience centered on exploration and adventure. On the attraction’s signature ride called Submarine Quest, guests will be adventurers on a global expedition of scientific exploration, travelling aboard submarines to see Ocean Explorer’s remarkable undersea animals. Electric Ocean As the sun sets, Electric Ocean™: will light up SeaWorld with an ocean of brilliance and vibrant energy that will transform the park into an underwater world of colorful luminescence. This new, nighttime summer spectacular will immerse guests in a glowing sea of wonder with bioluminescent-like lighting, a dance club and pathway entertainment. Electric Ocean kicks off June 17 and runs on select dates through Sept. 4. This summer you can also expect to find more fun for the whole family: rides, a deep sea aquarium, shopping and dining. Being a foodie, I really love a lot of the food at SeaWorld, starting with the funnel cakes. On my last trip I also had some amazing Nutella Crepes that I hope to spot on my next trip. SeaWorld San Diego is making changes for the better and I am so happy about these positive changes. The place that made my childhood so happy will continue to be there for so many other kids, sparking imagination and a love for animals, conservation and education. We're looking forward to a trip back to SeaWorld San Diego this summer to check out the new attractions and to visit the orcas. The kids can't wait, and I can already taste the funnel cake. Lol! 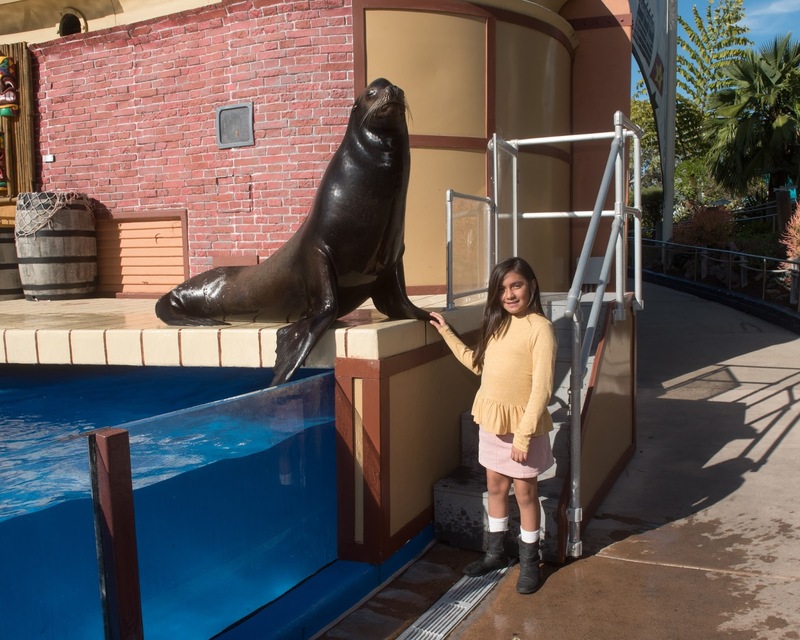 Sea World San Diego Promotion: SeaWorld single-day tickets are starting at $55 right now but the best way to enjoy SeaWorld is with a 2017 Fun Card where you pay $87 and come back again and again.